I have a…habit of juggling projects. I’ll start a piece, and then set it aside to throw another concept together, and then maybe go back to the first project or maybe another piece entirely. One advantage to this is I rarely get bored or burned out. If I am just not feeling one piece I’ll go to the next one down the line and see if that goes any better. There is of course one major disadvantage, which is spreading all my energy out makes it hard for me to get something completed. 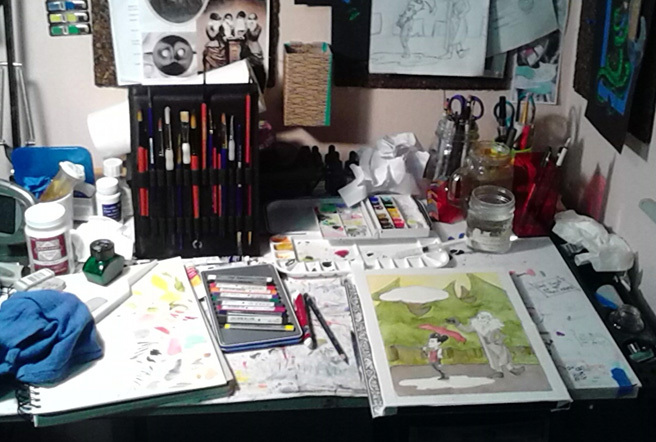 I have pieces that have been sitting on my drawing board or my to do list for ages. I’ll get back to them and work on them or polish the concept but rarely do they get COMPLETED. So since we are still in the first month of 2015 lets pull out what I’ve been kicking around and see if I can shame myself into finishing them up.